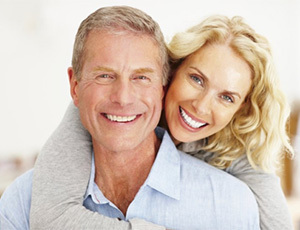 Many people don’t realize that dental implants are an increasingly popular option for tooth replacement. However, many are still unaware of the steps required to complete treatment, which include the planning, placement and healing phases. Each of these stages are essential to ensuring successful treatment, so it’s important that you’re aware of them before you begin. If you have any questions, our dentists would be more than happy to handle your concerns during your implant consultation. Feel free to contact our office today to get started on your journey to a new smile! Dental implants require extensive planning before treatment can begin. During your consultation, our dentists will go over your current oral health, the state of your jawbone, and your current tooth replacement needs. 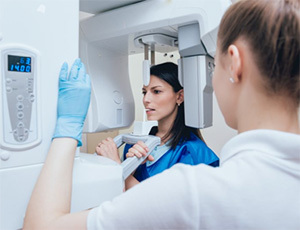 Before any implants can be placed, it’s crucial that you have healthy gum tissue, substantial alveolar bone for effective placement, and the willingness to discontinue the use of all tobacco products. Without meeting these minimum standards, your jaw’s ability to receive dental implants could be jeopardized. After examination, our dentists will schedule your surgery date. They’ll go over everything you need to plan for the date and explain what the surgery entails. When you arrive, we’ll numb the treatment area and create a small incision inside your gum tissue. After opening the tissue, we’ll carefully place the implant inside your jaw, then seal the tissue to allow for proper healing. A temporary restoration may also be placed for appearance while the bone and tissue heals. Once the implant is placed deep inside your jawbone, the osseointegration process can begin. 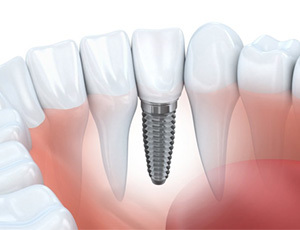 Since titanium is biocompatible with the body, the bone will naturally begin to heal around the implant and integrate. This means the implant will effectively replace the form and function of your tooth root. The healing process can take several months to complete depending on the location, so it’s important that you take note of our dentist’s aftercare steps. When the healing stage is complete, you’ll come back to have the abutment placed. This requires reopening your gum tissue, attaching the abutment to the implant, then closing the tissue around the abutment. After several more weeks of healing, you’ll finally be ready to have your permanent restoration placed. This could be a single crown, bridge or denture, depending on the number of teeth you intend on replacing. If you only intend on replacing a single tooth, you’ll likely use a fixed implant-retained crown or bridge. However, there are options that allow for a removable denture as well. 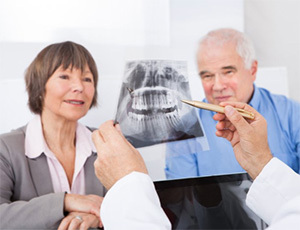 Prior to surgery, you’ll have the chance to determine the restoration that fits your needs. Start preparing for your dental implant treatment by calling a dentist in Plano today!